If anything, there are too many things to do at The Goldminer Hotel. But then you can always choose to relax, play games, play cards, use the hot tub, sit, nap, sleep, read a book talk with friends or with people you just met or, perhaps, watch television, use the internet, and work on that project you can't seem to get done at home. Whatever your interest, make The Goldminer your headquarters for a multifaceted vacation or overnight getaway in any season. The pages that follow provide brief information on more organized activities available at The Hotel or within a few minutes walk or drive. Don't take this as an exhaustive listing. Assume that you will find something of interest. It is really dark here and that leads to observing the moon, man made space objects, planets, stars and beyond. If you have never seen the night sky without the intrusion of man made light you will be amazed. We share this area with other living beings. Often seen are bats, a few harmless snakes, birds of all types, foxes and other small mammals, deer and elk. A little less often you may see moose, mountain lions, and bears. There is also a complete cast of local dogs, cats and other pets. The Hotel maintains motion activated, infrared wildlife cameras. From time to time we capture interesting images. Plant life is just as varied as are the stories of how some of the plants got here. The pervasive daisy, for example, is not native but was brought in as a wedding bouquet almost a century ago. Today they are everywhere along with a compliment of native plants. There are some very good flora and fauna guides including very complete computer tablet apps. Take a look at ones The Hotel has and perhaps buy your favorite from an appropriate app store or a paper copy at the Visitors' Center in Nederland. Good stream fishing is available in the Eldora Townsite. Lake fishing is a few miles away in Barker Reservoir. A four person hot tub is in a separate room off The Social Room. A very complete Recreation Center with two large indoor pools is a twenty minute drive away in Gilpin County. Downhill and Cross Country Skiing and groomed Snowshoeing trails are available within a five minute drive at Eldora Mountain Resort. Backcountry Cross Country and Snowshoeing is available within half a mile at the edge of the Indian Peaks Wilderness Area. Tubing and Sledding is available in Eldora and in Nederland. Ice Skating is available at a rink in Nederland. Equipment sales and rentals are available locally. Absent from this list are motorized activities such as Snowmobiling. Those are activities that are not done here both because the snow is not appropriate and because the populace does not support them.. Hiking, Road and Mountain Biking are available at The Hotel. There are two bike shops in Nederland. Road and Track running is available. Horseback Rides are available within a ten minute drive. Motorcyclists find the Peak to Peak Scenic and Historic Byway a great ride. 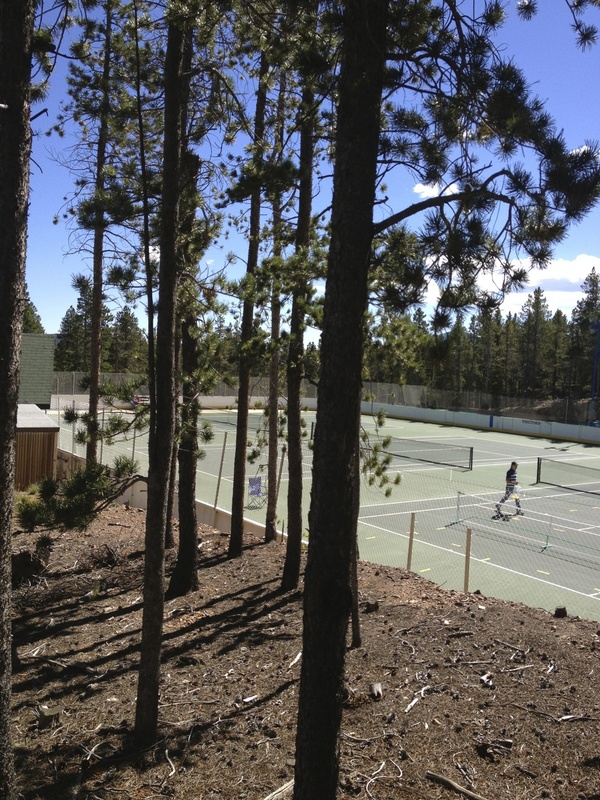 Tennis courts are available in Nederland. There are no chain restaurants and no enclosed shopping malls here although they are certainly in Boulder just half an hour away. There are, however, truly unique restaurants and shops in Nederland. There, too, are non-profit organizations that provide a different set of experiences. The Carousel of Happiness in Nederland is well worth a visit as is the Wild Bear Mountain Ecology Center. If this is not enough, Rocky Mountain National Park is within an hour drive north, Mount Evans Scenic Byway an hour drive south or the Boulder Pearl Street Mall a half hour east. West you will have to walk but it is less than a couple of hours of fairly easy hiking to The Continental Divide. Like many places, Colorado began Casino gaming several years ago. Today there are casinos from the small to the very large. The largest, Ameristar, is open 24 hours with approximately 1,500 slot machines and 44 table games in more than 55,000 square feet rivals Las Vegas casinos. This gaming in Colorado is limited to three towns and two of them are within a twenty five minute drive. Caribou Ranch Recording studio was used by many groups in the 1970s and 1980s including Chicago, The Beach Boys and Elton John. The studio is not operational now but its legacy lives on in the music and entertainment culture of the area. Most nights of the week you can find live entertainment nearby; some of it surprising good. Several churches have weekly services in Nederland. Several organizations provide contemplative environments and sessions. A lot more information is available in local publications and at the Visitors' Center in Nederland. Suffice it to say if you want to do something you can probably do it here.